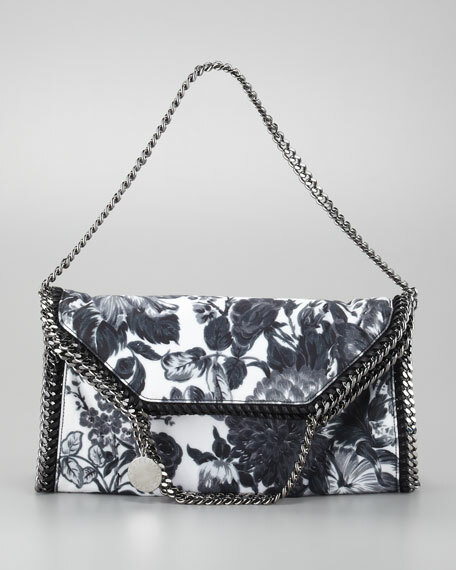 The fold-over Falabella bag is a Stella McCartney favorite for its edgy design and animal-friendly construction. 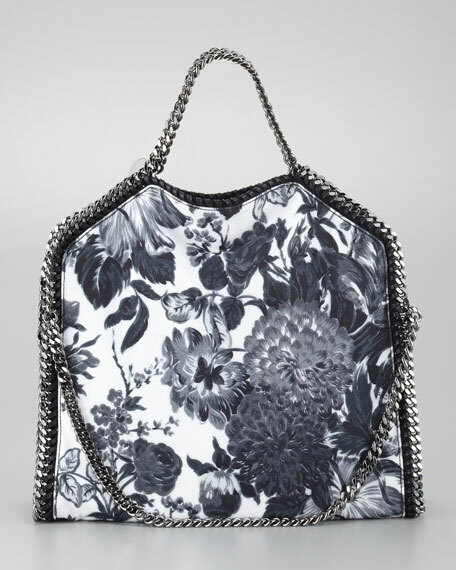 Floral-printed canvas (polyester/polyamide/spandex)with gunmetal-colored hardware. Signature curb chain trim and faux leather whipstitching. 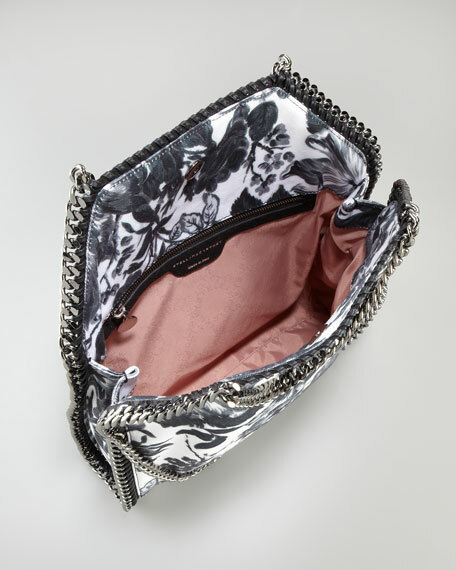 Shoulder strap with 10" drop when folded over. Chain tote handles; 9" drop. Stella McCartney logo disc charm. Slouchy, yet structured body may be folded over. 16"H x 15"W x 3 1/2"D.